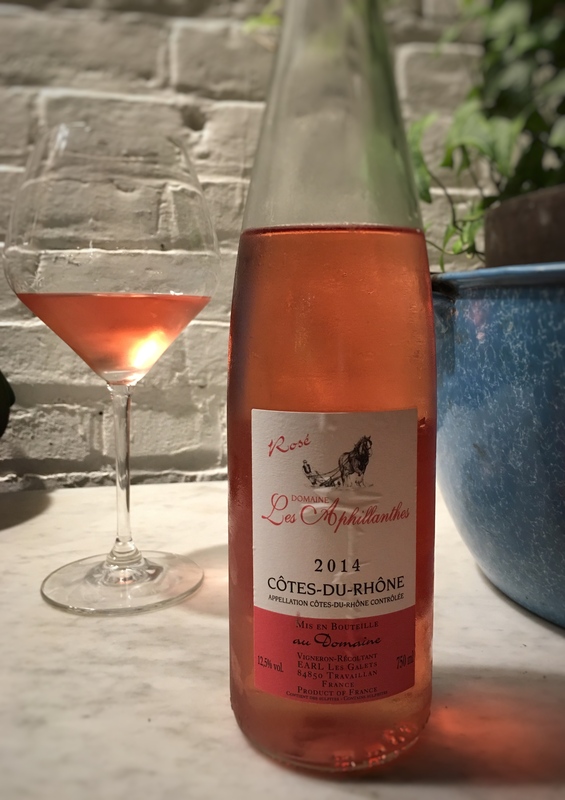 Estate: Located in the Rhône Valley close to Gigondas, Domaine Les Aphillanthes is headed by 4th generation winemaker Daniel Boulle along with his wife Hélène. When Daniel took over the family estate in 1987 they were only selling grapes to cooperatives, by 1999 he was producing his own estate wines and farming biodynamically. Winemaking: Certified Biodynamic since 2007, Boulle is known for his terroir drives wines. He focuses “on the quality of the fruit in the vineyards together with minimal intervention in the winery”. Fermentation takes place in concrete vats, the wine is moved by gravity feed and is left unfiltered. Tasting Notes: Coral pink in colour with radiant aromas of strawberry, wildflowers, minerals and hints of fresh herbs. Smooth and refreshing with wild strawberry and floral notes atop a streak of sweetness that contrasts exquisitely with the crisp, saline mineral finish. Wonderfully easy drinking on its own and lovely with light dishes.